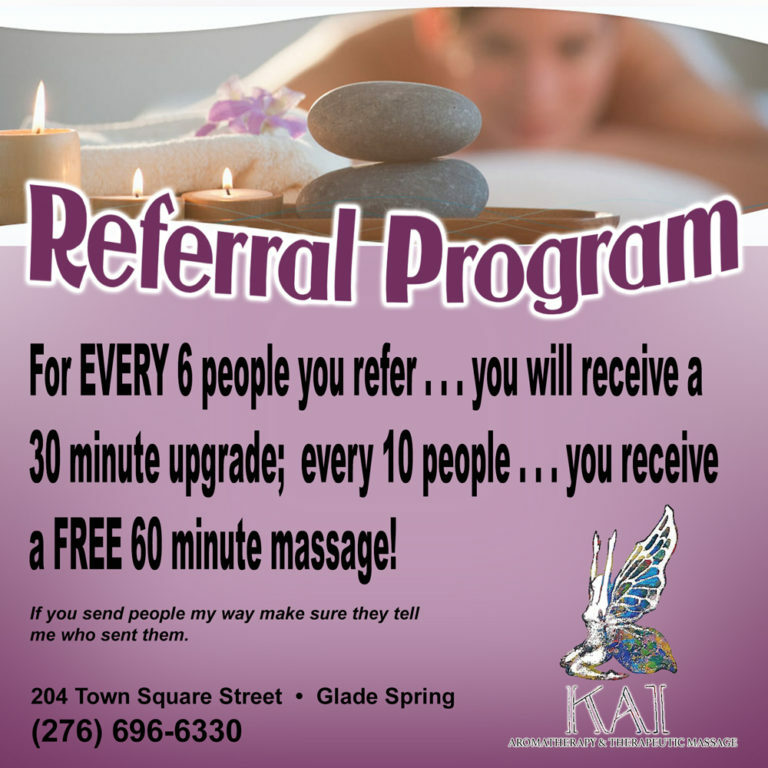 KAI Aromatherapy & Wellness Massage is introducing a great REFERRAL PROGRAM. For EVERY 6 people you refer … you will receive a 30 minute upgrade; every 10 people … you receive a FREE 60 minute massage! Definitely a WIN-WIN offer for YOU and YOUR FRIENDS!